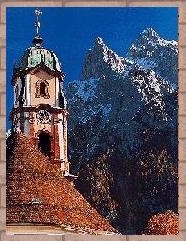 TRAVEL.org - GERMANY - Find hotels in Germany, or activities, and tours. Destination Germany - German National Tourist Board. MyGermanCity.com - Germany as it is: The culture, traditions, architecture, history, places, and its people. German Sights - A guide to German sights and towns for independent travellers. Bookmundi.com - Tour Germany - Explore its complicated history and diverse modern life in the metropolises of Munich, Berlin and Frankfurt. Munichx City magazine - (Stadtmagazin Munchen) - with Events, Concerts, Cinema and more in Munich. Germany Insider Facts - Discover facts about Germany, its culture, regions, foods. Find travel tips to plan your journey. Eduquality.net - EduQuality offers FREE, INDEPENDENT advice to people wishing to learn a language abroad. Nonstop Travel - Establ. 1984 & specialized in Germany, Austria & Switzerland. Discount contract rates with all major airlines, car rentals, hotels & rail tickets. Last minute, one-ways, families, individuals, groups - no problem. Au Pairs - Find an au pair from Germany through InterExchange's Au Pair USA. Berlin Sightseeing Tours - Daily excursions and tours in Berlin. Guided tours and hotel accommodation in Berlin, Germany. HolidayCity Berlin Hotels and Accommodation - Reservation for Berlin hotels with real-time availability and instant confirmation. HouseTrip.com - is a leading provider of quality holiday apartments in Berlin. Berlin Marriott Hotel - Get away to a premier hotel in downtown Berlin. Situated among top attractions, and packed with luxurious amenities, The Berlin Marriott hotel is an unforgettable escape. Berlin Hotels and Accommodations - Discounted rates on Hotel rooms, Car Rentals, Flights, Vacation Rentals. Discountedhotels.com, your complete travel resource. Book Taxi Berlin - We provide quality service by online reservation, priority collection, and a flat rate, so you do not have to worry at all. The Hamburg Marriott - Located in the city center near the train station and in the middle of shopping, restaurants, art galleries, and vibrant attractions, this Marriott boasts 278 rooms and suites featuring Marriott REVIVE bedding and wireless Internet. Book Berlin Hotels - Need a hotel in Berlin? Choose from over 791 discount Hotels in Berlin. Book directly from €30. No Booking fees! Germany vacation rentals on Live Like a German - Explore our collection of charming and inviting Germany vacation rentals and hand picked holiday apartments. The Ritz-Carlton Berlin - The Ritz-Carlton personifies luxury hotels in Berlin. Conveniently located at the prestigious Potsdamer Platz, this elegant hotel features 303 guest rooms, a La Prairie Boutique Spa, exceptional shopping, fine dining and impeccable service. Ritz-Carlton Wolfsburg Hotel - The Ritz-Carlton sets the standard for hotels in Wolfsburg with an array of luxurious amenities unparalleled by other Wolfsburg hotels. This 5 star Autostadt hotel stands as a tribute to German technology with free entrance to the Autostadt. Car Hire Germany - Get cheap car rentals quickly and securely online with Firstcarhire.